I had a reminder this month why I need to do more when I attended a local event. I don’t have much time to attend author events but I do whenever I can because it’s important to support my fellow writers whenever I can and also, it’s fun! I love reading and I love listening to other people who are passionate about it talk about it. 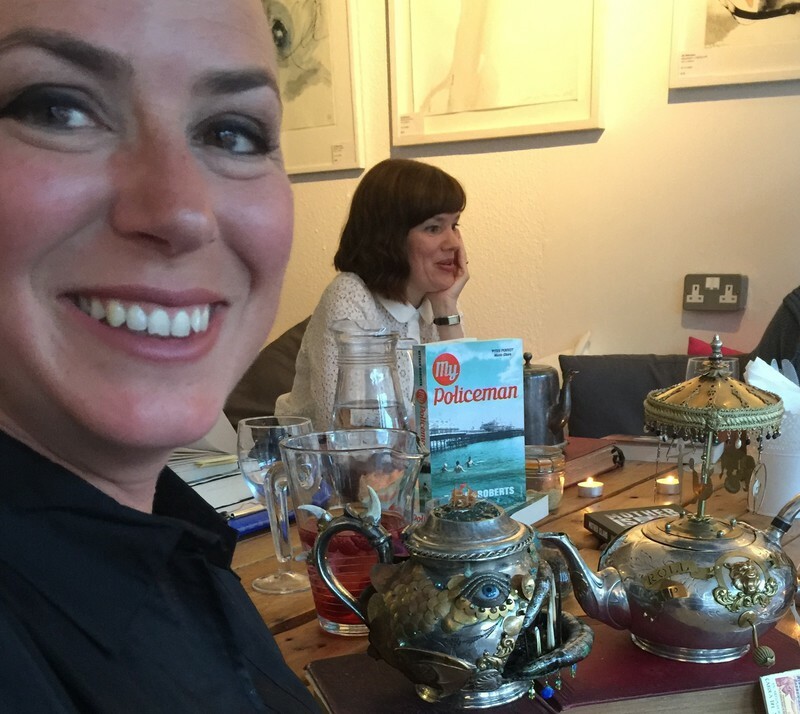 On that Thursday evening, Carola talked first about her teapots and how she came up with the idea for creating them. 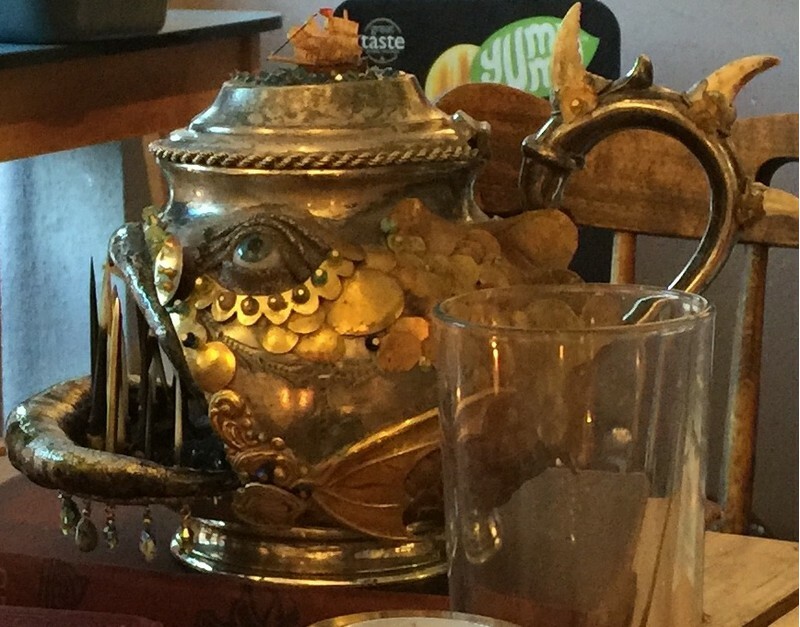 She takes pewter metal teapots that can’t be used nowadays because a lot of them are lined with lead and uses other old bits and pieces she buys in junk shops and flea markets to turn them into stunning pieces of art. It was amazing listening to someone talk about their creative process and to see how an idea that began in their heads translates into real life. While Carola talked about her life, about her inspirations, about the places she had been to, so many thoughts and ideas were triggered in my head. I filed so much away for use and examination later. 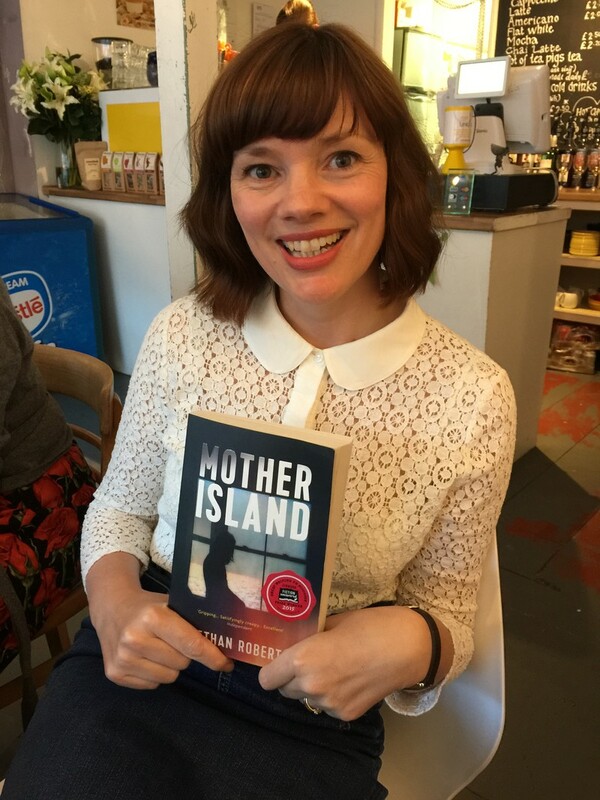 Bethan Roberts was the next to talk about her new book, Mother Island. Bethan is probably most known for her book My Policeman, which was a former Brighton City Reads, choice. Her new book recently won the Jerwood Fiction Uncovered Award, which recognises the best of British fiction. I have to confess that it’s lovely to be on the other side of the audience, to sit and listen to someone who does the same job as me talk about what they do and not have to worry about what I have to say when it’s my go. Before I was published I used to go to as many events as I could to find out how other authors got published. Attending this event reminded me that I should go to as many events as I can to find out how other authors do their jobs. Bethan is a very honest, open person and I think that probably translates into her writing. Mother Island is the story of cousins Maggie and Nula. Maggie is currently nanny for Nula’s young son but decides one day that the best thing to do for everyone is for her to take Nula’s child and not return him. Bethan spoke a lot about how this was a very personal book for her because it was written at a time when she was a new mother herself, and she wanted to explore some of the struggles she was experiencing. I had the chance to ask her about her writing process and was impressed that it was nothing like mine at all. Am hoping to persuade her to write a piece for my site about how she writes at some point but it’s a reassuring reminder that everyone does it differently and you need to find what works for you. If you want to buy Mother Island, you can do so here: Buy Mother Island (I bought two copies and got one signed for my mother in law). You can find out more about Bethan here: Bethan’s website And follow her on Twitter here: Bethan Twitter. It was a lovely night out, and I’m going to make an effort to attend more events around here not only because I came away inspired, but also, quite simply, because it’s fun.